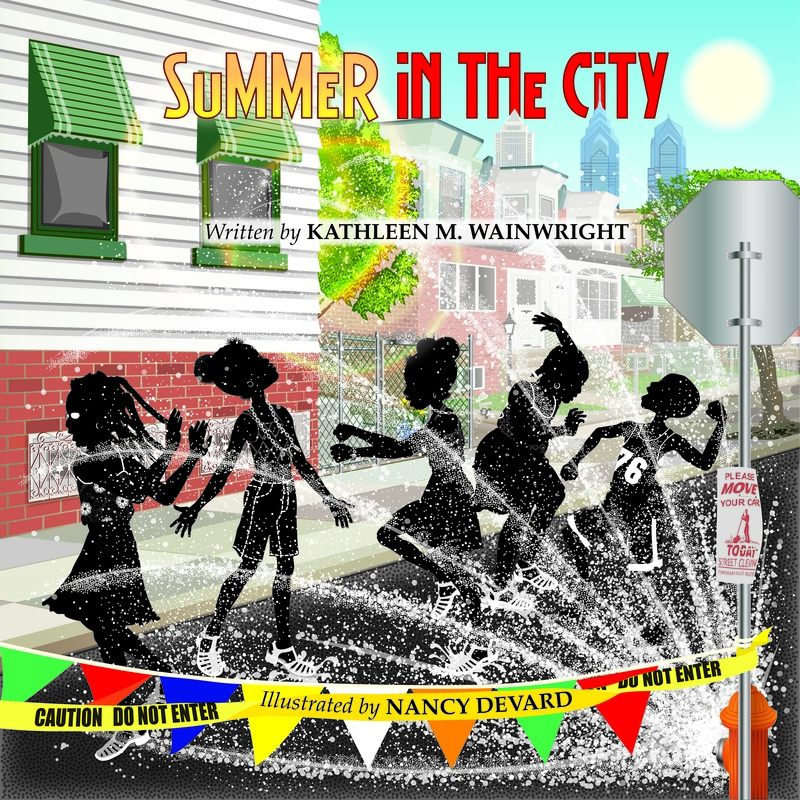 When I read Summer in the City written by teacher and blogger Kathleen M. Wainwright, I was taken back in time. I remembered playing hide-and-seek and freeze tag with my neighbors and cousins, sailing on the swing at the playground, chasing fireflies under a quilt of stars. With illustrations by Coretta Scott King Illustrator Honor winner Nancy Devard, Summer in the City delivers something magic. We’re happy to feature Kathie in our Making Our Own Market series. I decided to self-publish because I had a story I wanted to share with the world and I wanted to share it on my terms. Initially, my plan was to use a vanity publishing company but after following the advice of Jerry Craft, I decided to put my goal on pause and really research what it would take to start my own publishing company. That is when my role shifted from a “self-published” author to an “independent publisher/entrepreneur.” In 2013, I started my publishing company, Willa’s Tree Studios, LLC. Summer in the City was my first publication and a year later I published my newest book, Ziggie Tales: Ziggie’s Big Adventure. Going the traditional publishing route would have been ideal at the start of my journey as a writer, and it is something I would consider if the opportunity presented itself. However, I truly enjoy the publishing process, the creative control and the opportunities that come along with working as an indie author. Why did I initially choose to self-publish? I first wrote Summer in the City in 2006, did a search on the internet, and sent my manuscript out. I never heard anything back from the two or three places I sent it. This could be for several reasons, but it was most likely due to my story being underdeveloped at the time. I had a vision – I knew exactly how I wanted to transform my readers when they read my book. I knew the type of illustrations I needed to make this possible. I just didn’t know where to start so I stopped. I put my publishing goal to the side and wasn’t really sure at the time what would happen. Over the years I would tweak it here and there changing a sentence or two. But Summer in the City didn’t truly come full circle until I sat down with my illustrator in 2011 and added my final revisions as we mapped out the illustrations and layout of the book. I actually think waiting to publish on my own was the best thing I did. During the time between writing Summer in the City and actually publishing the book I made great leaps as an educator. I earned my Master’s degree, a certificate as a reading specialist, began my second Master’s while pursuing a certificate in special education, and successfully completed National Board Certification for Professional Teachers. I also participated in several organizations, developed lasting relationships with other professional leaders. I created a teacher’s blog, The Diary of a Not So Wimpy Teacher, which now has a following of over 6,000 readers. All of these experiences have helped to position me for making my presence known as a new up and coming children’s author. Once I decided to start a career as an independent publisher I did a great deal of research. I attacked this process as if it were another program or certificate that I wanted to complete. Only this time my instructors were established authors, illustrator, publishers, bloggers, marketing professionals, and content specialist. I read whatever I could get my hands on, I asked hard questions, and I hired a consultant. I used my network and I soaked up any bit of information that I could get my hands on. I took a few writing courses and I bought a ton of books. I even flew out to New Mexico (to visit my mother at the time) and had the opportunity to schedule a meeting with someone who had established their own publishing company and was willing to let me sit down and pick his brain. I founded Willa’s Tree Studios, LLC in February 2013. Willa is my grandmother, my mother’s mother who passed when I just a few months old. My grandmother represents the foundation/ roots of our family and my mother, aunts, uncles, cousins, siblings and I represent her branches. Collectively we are Willa’s Tree and she lives on through us and the legacies we leave behind – for me, my books. I don’t want to paint a picture that independently publishing a book is easy- it is not! It is a lot of work and I am still learning. There are so many things that I would like to do but because I am not a full-time writer it is challenging. Additionally, I don’t have the backing of a large distributor just yet so that is also a major bridge I have to cross. I take advantage of any opportunity to share my book (i.e. teacher conferences, school visits, career fairs, flea markets and bazaars, speaking engagements, etc). Because I wear all of the hats, I am responsible for seeking out those opportunities and making those connections- and this can be overwhelming at times, too. Despite all of this, I love this process and I am looking forward to what this journey shall bring. 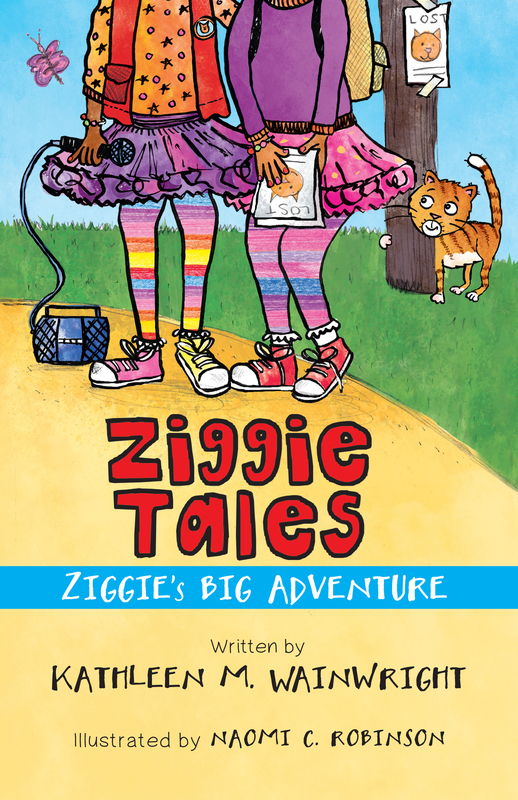 Currently, I am drafting book two in my new Ziggie Tales series- Ziggie Tales: Ziggie’s Trick or Treat. My goal is to release this book by October 1, 2014. Kathleen Wainwright is a dedicated teacher in the School District of Philadelphia. 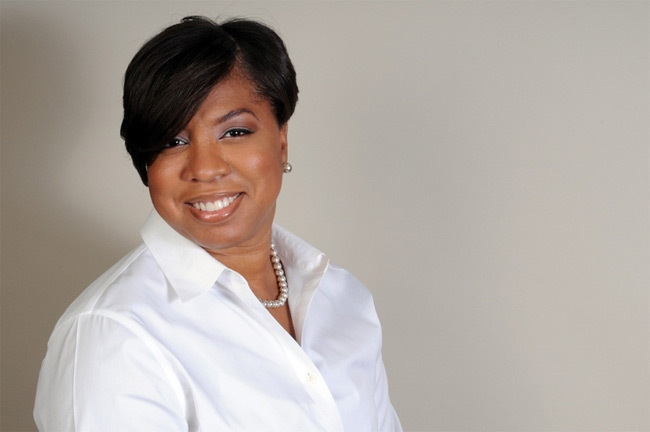 She is also an adjunct instructor at her college alma mater, Temple University, where she teaches foundational literacy courses to pre-service teachers. Kathleen is the writer of the teacher’s blog, The Diary of a Not So Wimpy Teacher. She is also the creator of Not So Wimpy Teacher Resources, specializing in Common Core Aligned reader’s companions for a variety of children’s books. For more information about Kathleen Wainwright, visit www.kathleenwainwright.com. LOVE the cover on SUMMER IN THE CITY – looks excellent. I really am enjoying learning about ALLLL these people doing their own thing in publishing – and doing it well.